For me, one of those special games is the Shadow of the Colossus on the PS2. 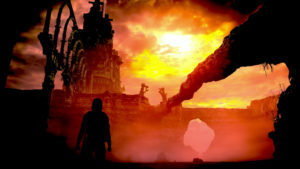 The unique gameplay, massively gorgeous landscapes, intriguing characters, mysterious storyline, and beautifully designed colossi, weren’t just goose bump worthy, they took my breath away. The game was originally developed by SIE Japan Studio and Team Ico and released in North America/ Japan in 2005. 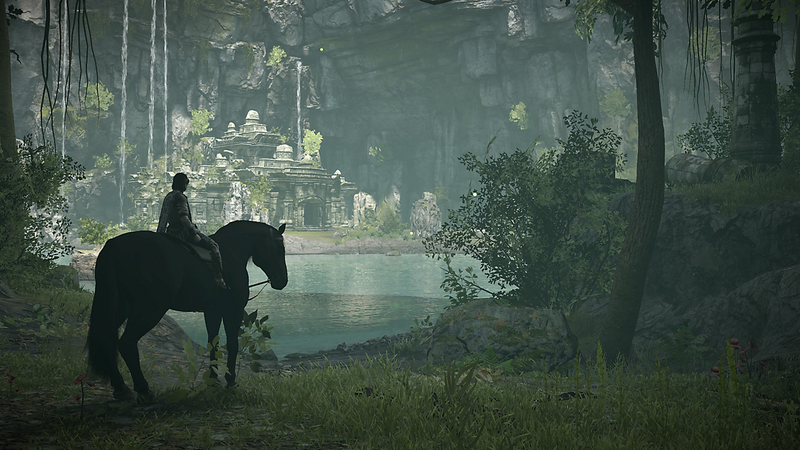 In 2011, Bluepoint Games put out a remastered HD version of the game for the PS3 (in a duo pack with Ico). Now, with the existence of the PS4 Pro and 4K technology, Bluepoint has once again reimagined the game for a new generation. One of the main goals BG set for themselves was to rebuild the game graphically, “from the ground up.” They assembled a full team of artists in order to take on this gigantic task. Throughout the development process, the team had many “deliberate discussions” regarding the enhancements they could make, always asking themselves if each should be implemented and why. 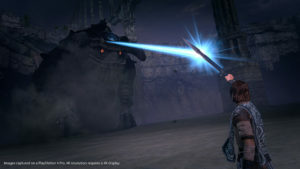 To make sure their updates stayed true to what fans expect and the original intentions of the game’s developers, they studied the design and art direction notes from when the game was first created. Besides graphical improvements, BG also worked out some of the bugs in the game and added a brand new feature called Photo Mode. 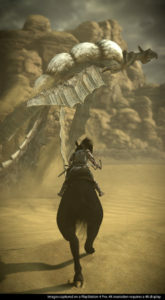 Players can use the new Photo Mode to take pictures of their favorite SOTC moments. But, it goes even further than just snapping a shot of something you find appealing. Players will be able to manipulate their photos and really make them their own. Here’s how Art Director, Mark Skelton, describes the new feature in his blog post on playstation.com. Mr. Skelton also goes on to say that taking pictures is “super easy.” The camera can be rotated 90 degrees either way and be switched from the player to the horse. For those who will be playing the game on their PS4 Pro, you’ll have 2 choices of play options; Cinematic and Performance. Cinematic will emphasize the image quality, while Performance will emphasize frame rate (at 60fps). It’s extremely impressive to see how thoughtful Bluepoint Games has been in their reimagining of this epic game. From everything I’ve read and seen so far, it appears they’ve truly put their heart and soul into their work. And, it’s not surprising. They are, after all, the “go to” company for remakes, having worked previously on projects such as the remastered HD God of War: Collection. I look forward to reliving the magnificent experience I remember from years ago, now in beautiful, 4K. 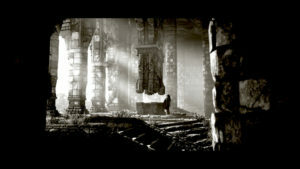 I also encourage anyone who’s never played SOTC to give it a try. It’s a deeply moving action-adventure game like none you’ve ever played before. I don’t think you’ll be disappointed. If you’d like to read more about the game, check out the fascinating blog posts from the Bluepoint team on playstation.com. For anyone who wants to see how the PS4 version compares to the PS2 & PS3 HD versions, check out this playstation.com YouTube video. Thinking of purchasing the game? A digital version will be available for purchase/download at 12am Tuesday morning on the PlayStation store. Physical copies will be releasing on 2/6 in most retail stores & on-line for $39.99. There is a special edition with a steelbook cover and a few extras that retails for $49.99, however, availability may be limited on this particular item. (Most on-line retailers no longer show it available). If you love the music of the game, @iam8bit is putting out a special vinyl soundtrack that will release later in the year. It’s up for pre-order now for $40 on the company’s website. Fun Fact: Per PlayStation World, there’s a “Last Guardian” Easter egg in the new SOTC game. So, if you’re playing, be sure to look for it.